NATIONAL HARBOR, MD. — Air Force cyber mission teams supporting U.S. Cyber Command will be comprised of about 1,260 airmen, the head of Air Force Space Command said Tuesday. At last year’s conference, Shelton discussed the challenges of integrating air, space and cyberspace into one coordinated process. 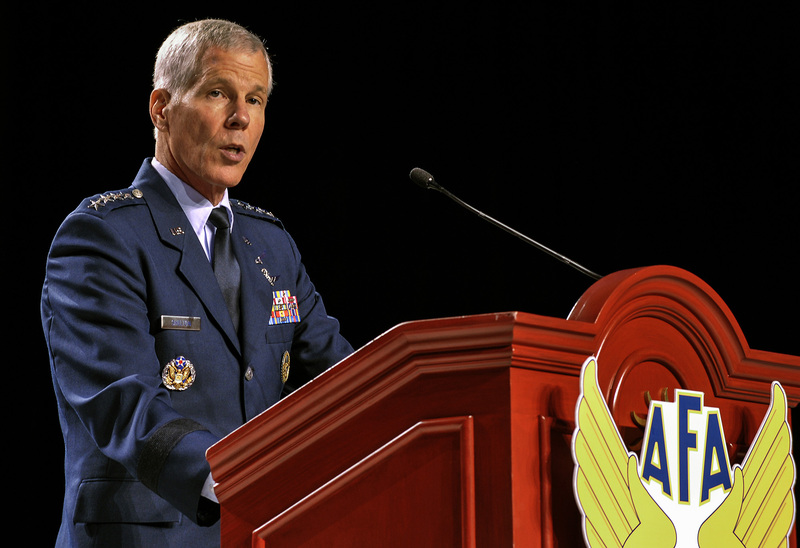 The head of Air Force Space Command acknowledged his concerns with sequestration this year, which he said could break military space and cyber programs. (Photo U.S. Air Force, 2012). Gen. William Shelton said that while an earlier projection may have called for 1,500 airmen, that was still being talked about in the leadership circles. “After several briefings involving the services, the Joint Staff and U.S. Cyber Command, 1,264 was the number agreed to as the Air Force share of the overall requirement for the cyber mission force,” Shelton said at the Air Force Association Air & Space Conference. The airmen will be divided under three mission teams — national, combat and cyber protection. Shelton said that the Air Force’s dependence on both space and cyber has never been higher, and essentially, all operations on every level are dependent on cyber sustainment and capability. Cyber needs to remain a real priority even with the constant obstacle of budget cuts, Shelton said. Another issue on the horizon is sustaining future cyber warfighters. Shelton said something that is also being considered is more space and cyber opportunities within the Guard and Reserve. “There’s a big total force study effort under way in the Air Force,” Shelton said. “For example, you take a reservists who’s working for a high-end IT company by day and then working for us as a reservist part-time, that is great capability for us — that comes back to the active force with certain ideas and thought processes we might not have in our capability,” he said. Related: [VIDEO] Lt. Gen. Michael Basla, Lt. Gen. Robert Otto and Maj. Gen. Brent Williams talk the future of cyber and ISR at the Air & Space Conference Sept. 17.